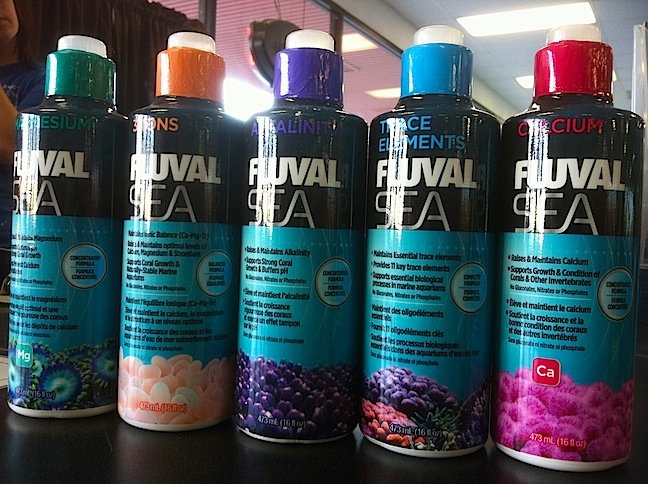 Back in September, local fish store owner and AquaNerd contributor Keith Hatch stumbled onto the new line of Fluval SEA additives at the Super Zoo trade show in Las Vegas. 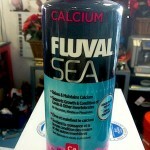 Flash forward a few months and we’re finally starting to see these popping up on fish store shelves. 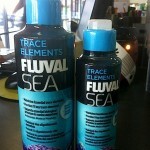 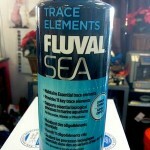 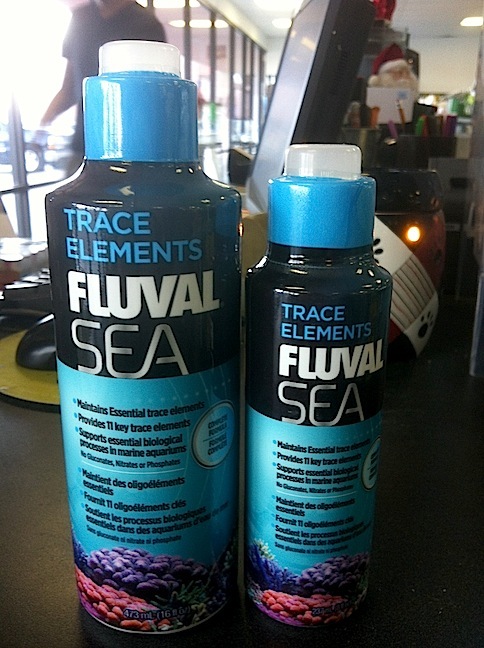 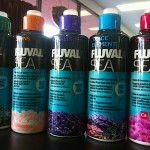 The Fluval SEA line offers up a wide variety of additives in at least a couple of different sizes, which include 8 and 16oz volumes though we’ve also seen images of larger containers. 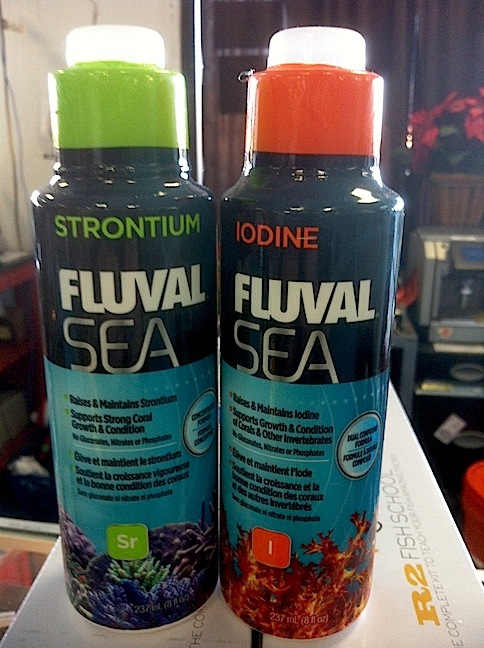 Each is said to be nitrate and phosphate free, which is obviously a good thing for us reef keeping aquarists who are constantly looking for ways to reduce these two compounds. 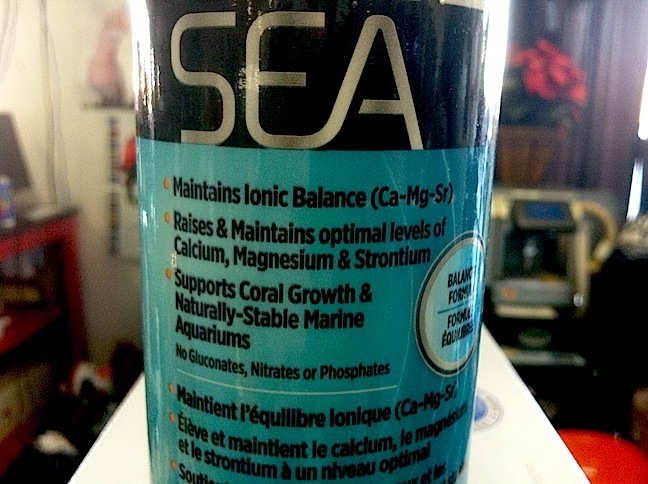 In terms of the different additives currently available, we spied a robust lineup that included the very simply named Calcium, Magnesium, Alkalinity, Trace Elements, Strontium, Iodine, and 3-Ions additives. 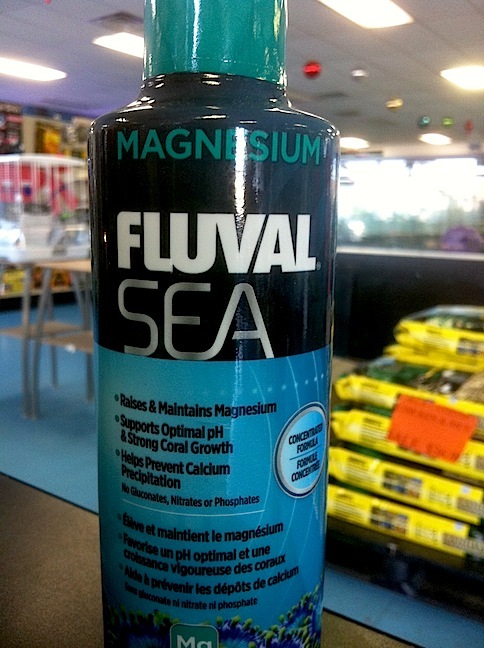 It’s easy to tell what is being dosed simply by looking at the name on the bottle, which makes dosing a little easier perhaps. 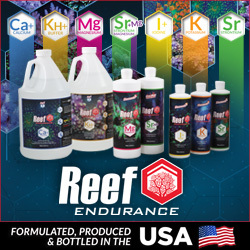 Also, each additive has a color coded cap, which makes picking the right bottle out of the lineup a little easier provided you can remember which cap goes with each product. 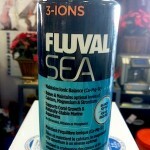 The one product in the lineup that doesn’t follow a conventional name is the 3-Ions. 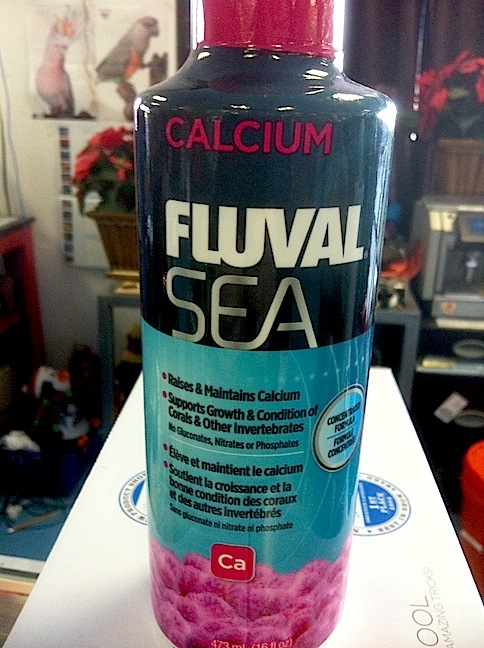 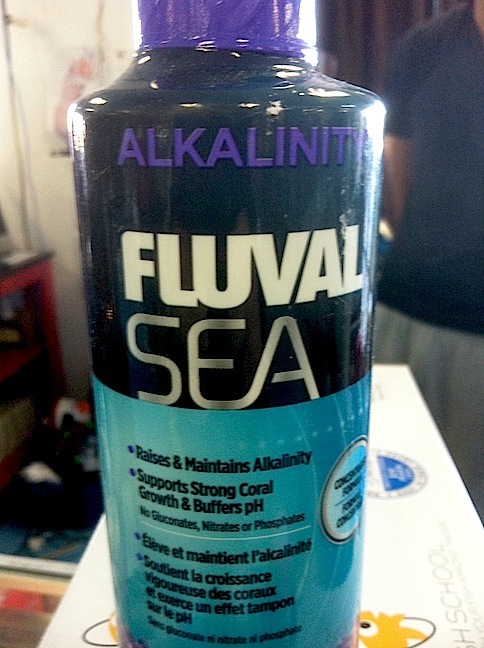 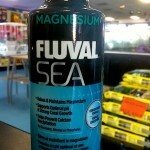 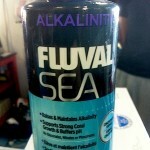 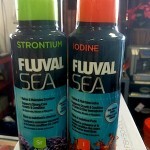 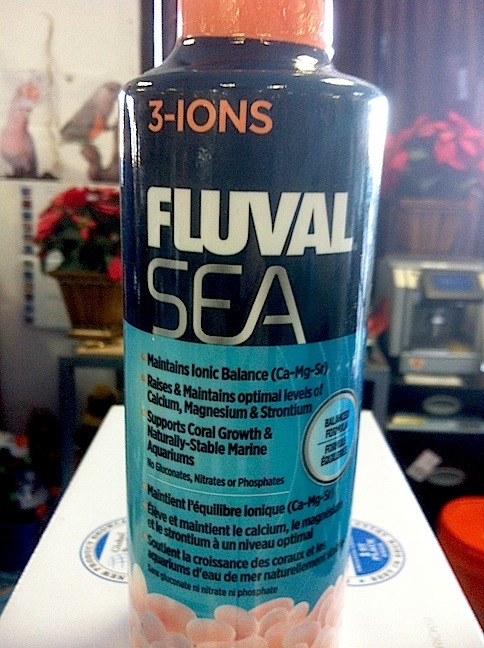 The Fluval SEA 3-Ions is more of a multi-purpose supplement, as it is a concentrated blend of calcium, magnesium and strontium. 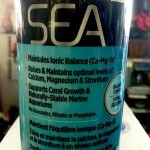 Continue below for more photos. 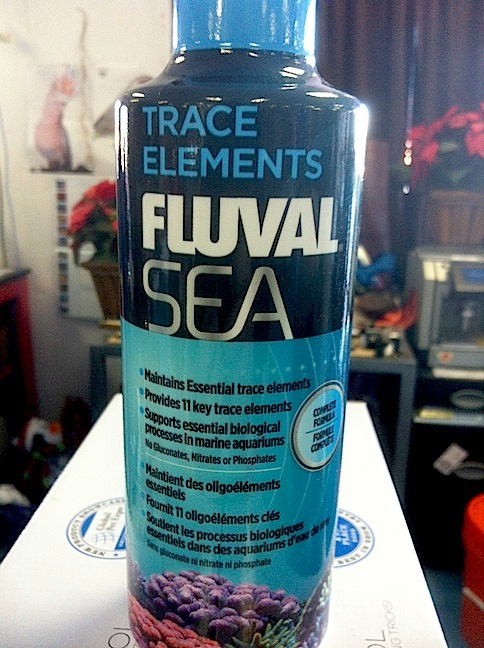 Also stay tuned for a little more product information on each additive and some potential hands on time with a few of them.